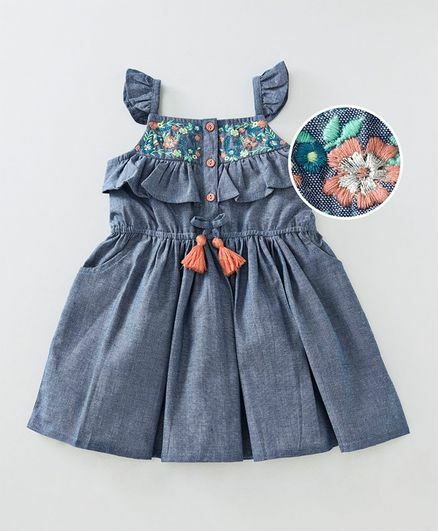 Step out in style with this gorgeous frock from the house of Babyoye. Adorable print and colour combination of the frock will lend a trendy look to your little girl. With ruffled pattern and front button closure this frock is sure to keep your darling at ease all day long. Note : To confirm sizes, kindly refer to the size chart link above.